Mikhail Gorbachev has warned that the treaty signed between the US and the Soviet Union on the elimination of nuclear and conventional missiles is "in jeopardy," stressing that scrapping the 1987 deal could end in "disastrous" consequences. "This December will mark the 30th anniversary of the signing of the treaty between the Soviet Union and United States on the elimination of intermediate- and shorter-range missiles..." the former Soviet leader wrote in an opinion piece for The Washington Post, referring to the Intermediate-Range Nuclear Forces (INF) Treaty. He went on to note the merits of the deal, citing the fact that Russia and the US reported in 2015 that 80 percent of the nuclear warheads accumulated during the Cold War had been decommissioned or destroyed. 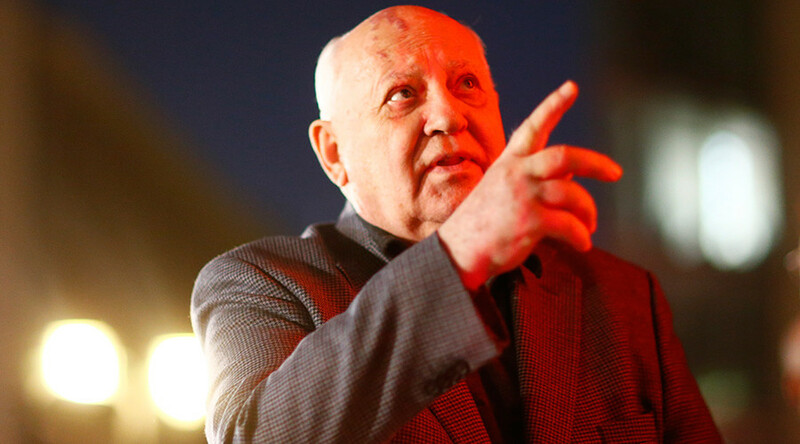 However, Gorbachev - who led the Soviet Union from 1985 to 1991 - said the agreement is now "in jeopardy." "It has proved to be the most vulnerable link in the system of limiting and reducing weapons of mass destruction. There have been calls on both sides for scrapping the agreement," he wrote. Gorbachev stated that both Russia and the US have "raised issues of compliance, accusing the other of violating or circumventing the Treaty's key provisions..."
"Relations between the two nations are in a severe crisis," he said, noting the importance of establishing "a dialogue based on mutual respect." The former Soviet leader said that it is up to US President Donald Trump and his Russian counterpart Vladimir Putin to "take action," and called on both countries to hold a summit to focus on "the problems of reducing nuclear weapons and strengthening strategic stability." 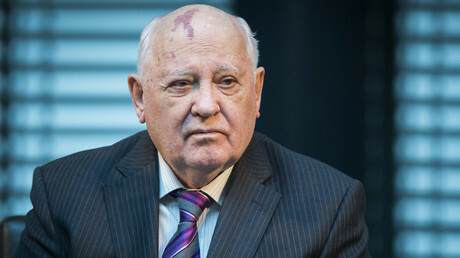 Once again noting the importance of the INF Treaty, Gorbachev warned that scrapping the deal could result in a collapse of the "system of nuclear arms control," which would lead to "disastrous" consequences. Gorbachev referred to today's "troubled world" and said it was "disturbing" that US-Russia relations have "become a serious source of tensions and a hostage to domestic politics." "It is time to return to sanity," he wrote. Signed at a 1987 summit meeting between Gorbachev and then-US President Ronald Reagan, the INF Treaty obligated both sides to eliminate their short- and intermediate-range missiles. It came into force on June 1, 1988. The Treaty allowed for hundreds of nuclear-tipped missiles that were deployed in Europe to be scrapped amid the Cold War arms race. The editorial comes just days after former US Defense Secretary William Perry warned that relations between Washington and Moscow have entered a "new Cold War," and that current conditions could lead to global conflict.